Carole's Chatter: They do say it's the most important meal of the day - I skipped it for years and years! 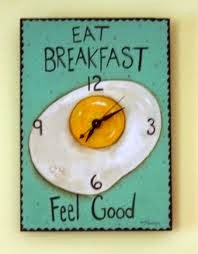 They do say it's the most important meal of the day - I skipped it for years and years! I skip it a lot too. I don't let the kids skip it though. I skip it to, unless an espresso is breakfast!